EQ7 user Carol Steely is featured in McCall’s Quick Quilts Magazine! How much do you LOVE batiks?? 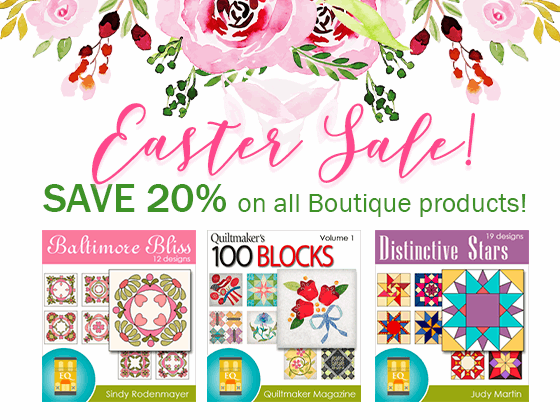 Design with the newest batik collections from top manufacturers like Hoffman, Island Batik, Moda, Michael Miller and more! Instantly add 1,000+ new batiks to your EQ7 for just $7.95!